“Sustainability is the possibility that human and other life might flourish on earth forever.” This quote by John Aronfeld set up the creative tension that underlies all sustainability projects: How might we be able to flourish and grow forever without depleting the resources necessary to sustain our lives? This question was posed at the outset of a class taught by Peter Senge at the MIT Sloan School of Management. The class hosted a set of sponsor organizations that each had a sustainability challenge that their company needed to address. 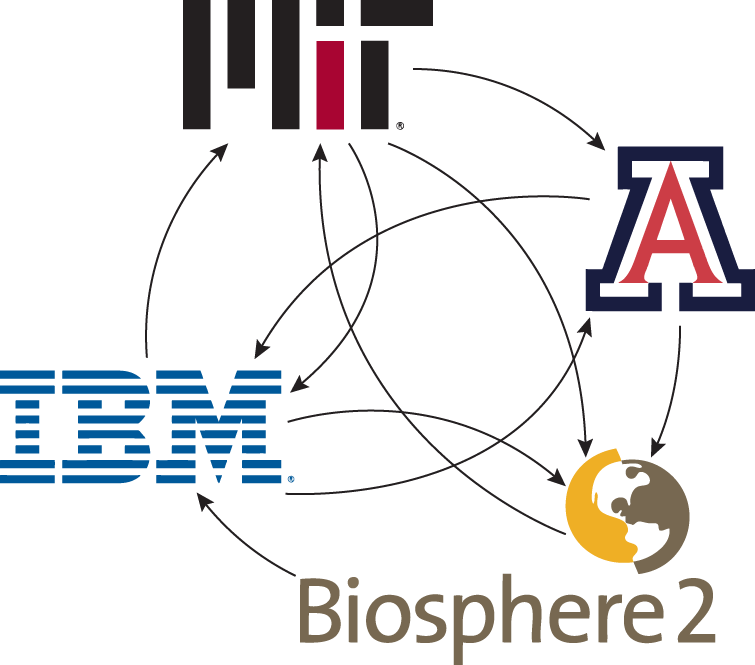 I worked with a team of three others an a project sponsored by a joint venture between IBM and Biosphere 2 at the University of Arizona. The project goal was to develop a five-year sustainability plan for the Biosphere 2. Our team acted as process consultants in applying systems level thinking to the Biosphere 2 as a holistic entity. Biosphere 2 is a climate systems research facility that is composed of a series of large scale greenhouses in the middle of the Sonoran Desert. Inside the greenhouses are micro-ecologies built to replicate the various ecosystems of the planet (rainforest, savannah, ocean, desert, etc.). The specificity of the research data means that the internal climate conditions need to be heavily regulated. This requires a massive amount of energy and water to heat and cool the buildings various microclimates. The sustainability plan would focus on how to improve the operational efficiency of the Biosphere 2 facilities complex in order to mitigate any unnecessary usage of resources associated with the growth of research on the site. Meetings and conference calls with representatives from the sponsor organizations started in September 2012 and a four week site visit was conducted in January 2013. During this time in January, our team toured the facilities and asked detailed questions about building systems; interviewed key stakeholders in the Biosphere 2 enterprise system; conducted a collective action workshop to engage stakeholders in the development of the sustainability plan; researched smarter- building technologies and operational strategies for reducing resource consumption. The findings and recommendations were written up in a formal sustainability plan and were presented to the senior managers at the University of Arizona and Biosphere 2. The report recommended that Biosphere update its building sensor network, its information technology equipment and its building management systems. New smarter-building systems could take advantage or machine learning by creation autonomic building monitoring systems that respond immediately to changes in the interior and exterior environments. Investment in smarter building technologies could save Biosphere 2 up to 15% of it annual costs associated with energy and water use and create a more sustainable operating system. Because the implementation of any new plan requires some degree of change for an organization, it is necessary and important to engage those involved in and affected by the change in the development of the new strategy. To this end, our team held a full day workshop designed to engage the stakeholders in the Biosphere 2 system in a series of collective action exercises. I designed and facilitated the workshop around three different exercises: FishBanks Simulation Game, Force Field Analysis, Affinity and Interrelationship Mapping. The findings of the workshop created the foundation on which the sustainability plan was built, incorporating stakeholder ideas and insights into the work. Furthermore, the activities associated with and the sequencing of workshop exercises created a sense of collective action amongst participants that was necessary to create alignment around the future plan for sustainability. 26 stakeholders representing 12 different organizations attended the workshop. The opening exercises was designed to set the tone of the discussion around sustainability and collective action. To do this, participants play a game called FishBanks, which is a renewable resource simulation game developed by management professors at MIT. The game divided participants into twelve teams of two, and two oceans of six team each. Each team represented a fishing company whose goal was to maximize total assets. Assets consisted of fishing ships, and cash – which was generated by catching and selling fish. The game is designed to simulate the tragedy of the commons. The commons refers to a resource that is necessary and vital to the good of an entire community (like fish). The tragedy occurs when individuals act only from their own frame of reference, diminishing the common resource, and affecting the entire community. 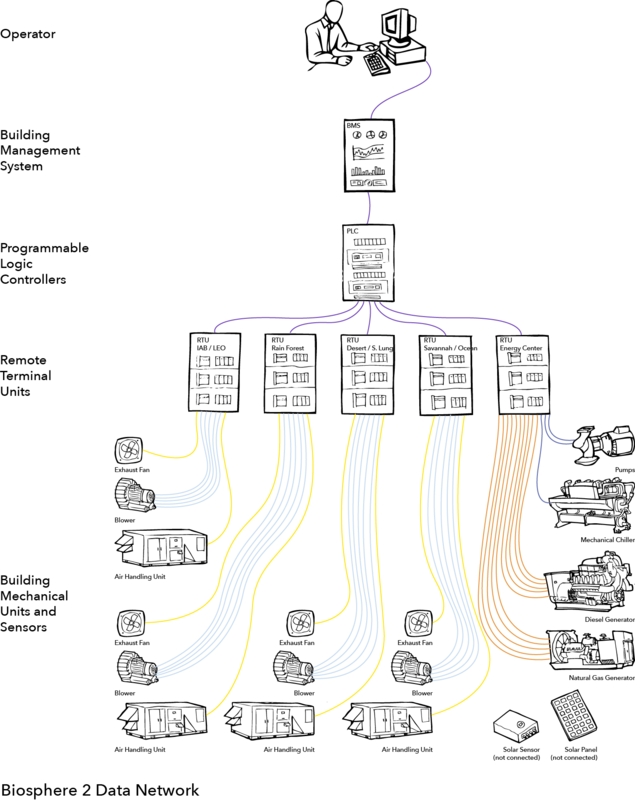 This was demonstrated in the game by the depletion of fish stocks in the oceans (see adjacent line graph). Upon completing the game and reporting the results, workshop participants were engaged in a discussion about the activity and about sustainability at Biosphere 2. The workshop continued with a Force Field Analysis exercise. This activity asked participants to discuss the internal and external forces driving and hindering change in terms of the three elements of Biosphere 2’s mission statement: To be a world class research facility; To be a place for public education; and to operate sustainably. This exercise facilitated a shared dialogue between workshop participants around the opportunities and challenges associated with making Biosphere 2 a more sustainable place to work and visit. Once this exercise was completed, participants were asked to work individually to brainstorm actions that could be taken to either bolster the drivers for changes or mitigate the hindrances against change. Actions were written on Post It notes and were assigned a priority ranking (1-5) to indicate the level of importance. After twelve minutes of divergent thinking, all the Post Its were collected and redistributed, and the group was asked to organize all of the actions into categories of similar responses. This collective mapping exercise gave workshop participants the opportunity to see other people’s ideas and to see how their ideas fit with those of the group. 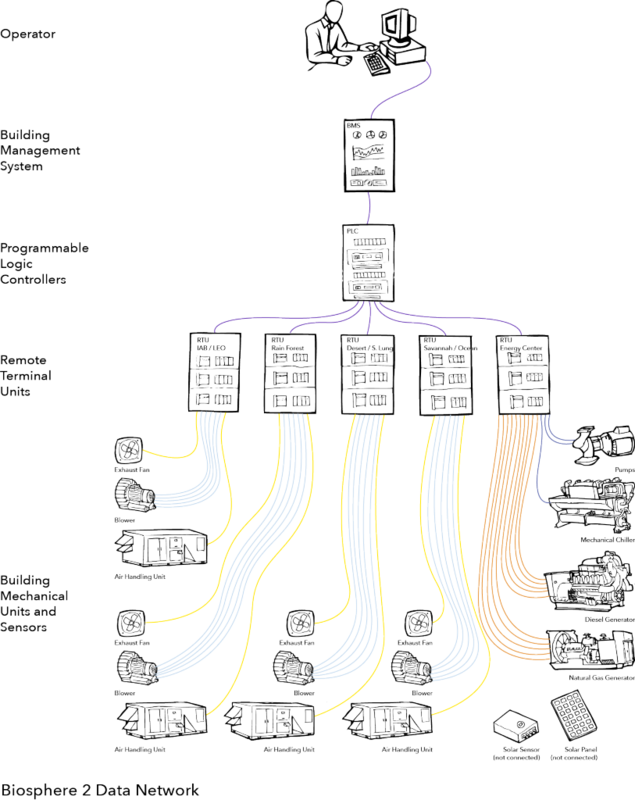 Eleven categories were defined in this affinity map and the relationships between the categories were charted using an arrow to indicate the direction of influence. This interrelationship mapping revealed one major drivers in the system of actions for sustainability: Implementing Operational Sustainability. By examining the priority ranking for each of the individual responses, it was also discovered the Developing Strategic Partnerships and Improving IT Infrastructure were highly important categories of actions necessary for achieving sustainability. The key outcomes defined in the affinity map were Rethinking the Visitor Experiences, Marketing and Diversifying Education Programming. These actions were heavily influenced by others in the system of interrelationships. These insights were used as the basis for the five year sustainability plan giving greater emphasis to sustainable operations of building and information infrastructure, and defining how focusing on the drivers could influence the development of the key effects. Because Implementing Operational Sustainability and Improving IT Infrastructure were identified as the key drivers in the system, the project then focused on mapping the flow of natural resources throughout the Biosphere 2 building system. This exercise examined how fuel, water, and energy work together to maintain the desired indoor environmental climates. Resource flows were tied to data flows in that several of the building mechanical units were configured with sensors that collected data regarding energy and water usage. This information was funneled into a fairly antiquated building management system that required the operators to do a great deal of extra thinking and work in order to keep building operations stable. The proposed sustainability plan built on this architecture and proposed the implementation of smarter building technologies that would allow the Biosphere 2 to benefit from machine learning and to act as an autonomic building system. The plan called for the deployment of a new sensor network, an update of the Building Management System, and the addition of a new Programmable Logic Controller. These three actions would allow Biosphere 2 to better track and alleviate any variances in indoor environmental quality and mechanical unit performance. Furthermore, the addition of machine learning would allow the building to respond automatically to changes in the environment. Once the major drivers were addressed, the team then focused on how to plan for the key effects in the system. Upon achieving operational sustainability, Biosphere 2 could offer Sustainability tours to its visitors that would focus on specific aspects of building sustainability. This would have the benefit of diversifying their service offering and giving visitors an opportunity to experience something different on a second visit. Furthermore, achieving operational sustainability would allow the Biosphere to apply for LEED Certification from the US Green Building Council. This certification would help the marketing efforts of the enterprise and help to shift the brand perception toward one of sustainability. A road map to LEED certification was created as part of the overall sustainability plan. Ultimately, it was concluded that investing in smarter building technologies would help Biosphere 2 reduce its energy and water consumption by about 15%, increase its visitor turnout by about 10%, and transform the enterprise into a world-class climate research facility open to the public.